If you plan to head out into the wild on foot you’ll need great hiking boots and a great backpack. The right backpack can make the difference between your excursion being simple and enjoyable and it being difficult and perhaps even dangerous. There are scores of backpack manufacturers out there today and some of them make outstanding equipment. The trick is to weed out the pretenders and that’s what we’re here for. Below is our list of the 10 best outdoor backpacks followed by a brief buyer’s guide which answers some common questions about backpacks and backpacking. TETON Sports typically makes high quality outdoor gear and their Scout 3400 Internal Frame Backpack is no exception. It’s a medium sized pack that’s ideal for men and women intent on a long weekend of outdoor fun. The straps that hold the pack close are comfortable and fully adjustable, the lumbar padding effectively protects your spinal column and the 600D ripstop nylon will allow you to confidently make your way through the deep forest without worrying that a stray branch is going to tear your bag open. The Scout 3400 from TETON Sports boasts a large main compartment, plenty of room for your sleeping bag, plenty of effective compression straps that keep the load stable and close as well as a rainfly that ensures your moisture sensitive items will stay high and dry. It’s a great bag for intermediate level hikers and weekend warriors and is extremely affordable to boot. A great buy. The Mountaintop 60L Hiking Backpack sports a sleek, put together look. But it’s more than just a pretty face. It features an elasticized pouch in the main compartment for holding sensitive items securely, an external sleeve that accommodates your water bladder reminiscent to a CamelBak backpack and plenty of access from top and bottom. The “L” in “60L” stands for “liters” which tells you there’s plenty of room here for all your essentials. A well-balanced bag that is water resistant, comfortable and affordable. Great for short to medium length stays in the wild. A durable, lightweight backpack for medium length outdoor adventures (3 to 5 days typically). The 60L will allow you to bring everything you need and then some. If you’re the type that likes to bring trekking poles along it will accommodate them as well. Real thought went into the ergonomics of this pack and you can tell the minute you slip it on. If you’re heading to the woods for the weekend and don’t plan on spending more than 1 or maybe 2 nights outside there’s no need for a 60 or 70 liter backpack. This 40 liter backpack from Mountaintop is just the right size for shorter excursions and features all the comfort and common sense design components you expect from one of the top backpack manufacturers. 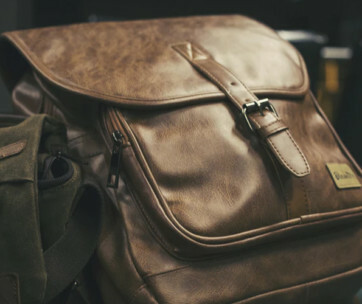 It’s one of the best travel backpacks for men as it has the added benefit of being an acceptable carry-on item when it comes to most airlines. This is a medium sized backpack that has the characteristics of a full-sized bag. The large main compartment can handle all your essential items including food, cookware, slove and clothes while there’s plenty of room on the bottom for your sleeping bag. Many of the pockets are zippered for added water resistance and security and the whole thing weighs in at just under 1 kg. The Wasing 55L Backpack has an internal frame that provides structure and ensures your load will remain stable even as you burn through supplies. At 55 liters it’s not a pack designed for epic 1 or 2 week treks or assaults on Denali but it’s perfect for intermediate length outings that see you setting up camp in several different locations over 4 or 5 days. Plenty of compression straps all around that allow you to contain the load while also letting you attach the tent, ground sheet and other large items you don’t want eating up interior space. This is a weekend bag with big time features including an upper extension collar, bladder sleeve, waterproof rain cover and comfortable, fully adjustable support straps. There are copious external loops for holding water bottles, ice axes an entrenching tool and lots of pockets all around to make organizing your gear a snap. Durable and practical it’s a great weekend bag. You might not expect much from a Chinese manufacturer but if that’s the case this Hu Wai Jian Feng backpack travel bag will be an eye opener for you. It’s well designed, well balanced, comfortable, practical and water resistant while at the same time providing plenty of space for your weekend backpacking essentials. All of the load bearing straps are smartly placed, well-padded and comfortable and there’s lots of pockets for everything from water bottles to your compass and any electronic gear you’ve brought along. There’s no internal frame here so the backpack itself is very light, which is great for hiking long distances. The multitude of external pockets and strapping makes attaching ancillary items to the outside a breeze while the top can be extended a bit to accommodate more supplies if you need them. 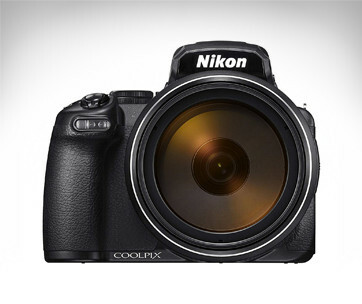 Considering the low cost and high quality of this pack it’s definitely a great overall value. The High Sierra Appalachian 75 is a candidate for best hiking backpack. This is an all-in pack that’s expedition ready from the stabilizing sternum strap to the extensive MOLLE webbing. 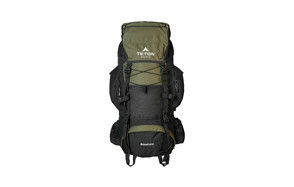 At 75 liters this is one of those large backpacks in which you’ll be able to stow everything you need for a long trek. The pack sits nice and high when strapped on and the mini-hex ripstop and 1680D polyester mean it will keep your supplies and equipment safe and dry. If you’re planning a week or two in the mountains this should be your pack of choice. This is not your parent’s weekend camping backpack. This 75 liter giant from High Sierra is designed for those adventures that take you deep into the wood and high up the mountain. The bag is designed to both accommodate and control big loads and there’s lots of straps, loops and mesh pockets on the exterior for those things that don’t need to be inside. The High Sierra Summit 45 is a backpack for those trips that are more than camping by the roadside yet less than trekking the Alaska Range. It’s a kind of younger cousin to the Appalachian 75 reviewed above and it shares many of the outstanding characteristics of that pack including thoughtful design, ample exterior webbing and quality materials and stitching. It’s the kind of backpack hunters will love along and may be the best carry on backpack you’ll find anywhere. This is a really well-built medium capacity backpack with a ripstop nylon shell and plenty of that great MOLLE-style webbing outdoorsmen and women covet. It might even be a bit more comfortable than the company’s Appalachian 75 pack. Besides being the perfect accompaniment on your shorter outdoor adventures it’s also an ideal pack for your teenager. The Bolang Outdoor Internal Frame Backpack is a long-haul backpack with its ducks properly in a row. By that we mean it provides copious space for all of your expedition gear, can be extended vertically to overperform and is incredibly stable when fully loaded. You have shoulder, waist and sternum straps to buttress that stability and a water resistant nylon shell to keep your equipment and supplies nice and dry. Toss in the fact that it’s both affordable and one of the better looking full-sized trekking backpacks around and you have a value winner. Bolang may have the best internal frame backpack on this list. This is a serious backpack that makes even your most trying adventure a little easier. The overall design is slim and won’t be getting caught on branches and bushes and yet there are still enough external pockets to accommodate your specialty or high priority items. A great full-sized pack. The Ospery Aether AG 70 is another one of those full-sized backpacks for men serious outdoorsmen are going to love. It’s as capable as it is good looking and sports what the company calls Anti-Gravity suspension; which is a fancy way of saying it distributes the weight really well. Stitching is first rate, the main compartment is voluminous and there’s a sleeve to accommodate a hydration bladder. The Aether AG 70 makes toting heavy loads long distances less of a sturm und drang ordeal than it used to be. If the AG 70 isn’t front and center on your next summit assault you’re probably making things harder on yourself than they have to be. The backpanel and a few other details have recently undergone redesign with the result that an already outstand backpack has been made even better. The final backpack on our list is the Mardingtop 65. This is an outstanding bag with a more utilitarian/military look to it that will satisfy a lot of old school types. But it’s not all about nostalgia or making backpackers weepy for their army days. This pack delivers where it counts in terms of volume, practicality, versatility and durability. Its capacity of 65 liters is enough for all but the most intense summit expeditions and it might even be okay for those. Like all the best backpacks for men quality is first rate throughout and no other full sized pack provides more external hosting possibilities. If you’re heading into the great beyond for a week of intense trekking or summiting you’d do well to have the Mardingtop Internal Frame Backpack slung over your shoulders. It will provide you all the space and loops and webbing you need for your expedition, will keep everything safe and dry and the generous padding on the load bearing straps will save your back or shoulders. Below are some of the most common questions we encountered while researching the best backpacking backpacks. Q: What do you need for backpacking? Q: How Do You Pack Big Backpacks? A: Typically you start with the bottom and work your way to the top. The sleeping bag will likely have its own compartment at the very bottom. Above that you’ll want extra clothes and above that, toward the middle of the pack you’ll want heavy things that you won’t need while hiking. Top the main compartment off with rain gear, the ground sheet and the waterproof cover for the pack. Snacks, sunglasses, sunscreen and the like go in the top pocket along with the first aid kit. 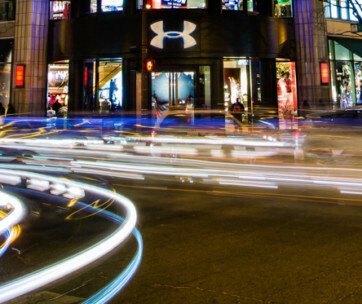 Tech like the compass, any GPS device, smartphone etc have their own pocket. Reserve another pocket for your multi-tool, tactical flashlight, headlamp and more. Then attach large items like ice axes, hiking poles, crampons and the like to the outside. Q: How Many Liters Should The Best Travel Backpack Be? 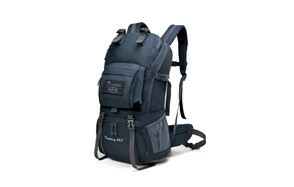 A: For most 3 to 5 day backpacking adventures 40 to 50 liter durable backpacks should do fine. When you start talking about a week or more you’re going to need more food, fuel and clothes so you’ll need a minimum of 60 liters and maybe as much as 70 or 75 liters of carrying capacity. Q: How to keep your backpacking gear dry? A: The simplest solution is to get a waterproof hiking backpack. However, they can be expensive and heavy. Instead get a water resistant pack with a waterproof cover, pack clothing down inside the main compartment and use waterproof containers or ziplock bags to protect fragile supplies, including all your tech devices. Q: What Are All The Straps For On A Backpack? A: In recent years most backpack designers have embraced the military concept of MOLLE (Modular Lightweight Load-carrying Equipment) straps on the exterior of their packs. These are intended to aid in compressing the contents of the pack, to make the load more stable and to hold things that really don’t belong inside like ice axes, crampons, shovels, water bottles and the like. 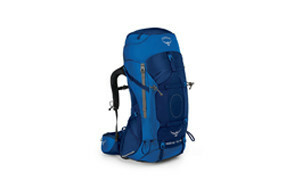 The Best Backpacking backpacks are indispensable components of any successful outdoor adventure. They enable your comfort and survival in an environment that doesn’t always have your best interests in mind. We hope you found the above information useful and don’t forget to stop back for more helpful product reviews and guides from Gear Hungry.